Nowadays it becomes harder and harder for new web studios to get clients because of the lack of recognized experience. Clients usually go to some big companies with heavy portfolios and work history. Competition is very high and TemplateMonster comes to help your studio get new clients and grow on the IT market. Want to know how? Read further! Let`s start with a short overview of the company to know who we are dealing with. TemplateMonster is an award-winning web themes vendor that offers the best web templates for business, corporate identity, blogs, ecommerce that are working with the most popular content management systems such as WordPress, OpenCart, Magento, PrestaShop, Moto CMS and many other. With 15 years' experience on the market of web templates for any purpose, they have created thousands of cool products. All the templates are unique, original and affordable. With the largest library of web themes it is really simple to find the one that suits your needs and will make your clients satisfied. The options are unlimited in customizing the color pallet, general look and functionality of the product you choose. Also, step-by-step tutorials and full documentation are provided. Though, if you still face any troubles - 24/7 support representatives will help you to find the solution. The advantages of using their ready-made themes are multiple. Prices and special offers make the templates really affordable; they also have powerful built-in features and free licensed stock photos. Moreover, all their templates are responsive and you can present your project to customers on any device you like with great look options. Also, freebies! They have loads of free templates that will help you not just to train, but also to create really stunning online projects! Satisfaction is guaranteed ? Now let`s get closer to the point. Recently they have launched a cool and completely free Certification Center! What is this new cookie about? opportunity to gain some experience, as for the professional web developers, it will be a perfect opportunity to show their skills. Su, if you like experimenting with Joomla, WordPress, PrestaShop and OpenCart - this is the perfect place for you to grow your experience and income! You should have a great desire to learn and get certified. Joomla. A popular framework for advanced users that has professional features and modules with an extended functionality. The platform is easy to install. It has multiple language options and it is trusted by millions of users. Moto CMS. Is a revolutionary project in the industry, using it you will get a free trial for all their templates that will lasts 14 days. Moto is not only a CMS, it is also a website builder. It's user friendly and has a lot of opportunities to be explored. OpenCart. Want to be an expert in eCommerce? Then this is the platform for you. You can create your dream store in minutes. Sell your products like a pro and get brand recognized all over the web! Installation and customization. The tutorials will teach you how to work with ready-made themes for multiple purposes. The courses for beginners will teach you the basics of WordPress, Joomla, OpenCart and PrestaShop content management systems. You will learn how to install and manage each platform. You are free to enhance free themes functionality, color palette, and effects. You will learn how to customize each module. If you are an experienced developer, there is a quiz to get certified and become an official partner of TemplateMonster. If you know how to work with ready-made templates this is the chance for your web studio to get noticed on the market! People who buy themes are interested in professional help. That`s why, the project gives you're a great chance to get new clients and offer them the best services that your studio provides. After you complete the tests you will receive an official certificate from TemplateMonster, which confirms your advanced skills and knowledge for each content management system. Moreover, you will be added to theAuthorized Web Studio Catalog. 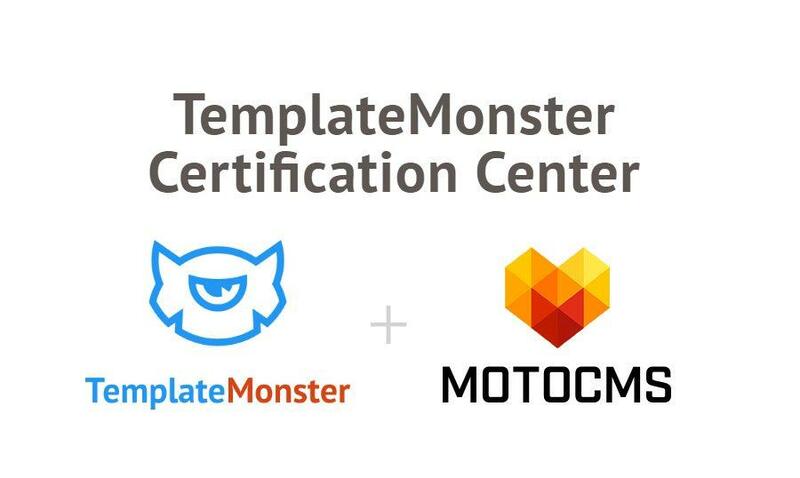 Each owner of the TemplateMonster partner Certificate will be added to a localized list, which means that you will get clients directly from TemplateMonster! Be a star in the Certification Center galaxy of web talents, get certified NOW!